At Showcase Windows, we strive to be green throughout the production of our eco-friendly windows and doors. Our production is an inherently “clean” process. We do not continually dirty the air, soil the ground or pollute the water. We are not a conventional manufacturing facility. We purchase quality vinyl extrusions which we bend to shape, cut to size and friction weld to create our exceptional window frames. Whatever is left over from this benign assembly process is sent out for recycling and reuse. The same can be said for the glass we purchase. We order glass components from environmentally-responsible producers and we cut, shape and fit the glass precisely into our frames. Some types of glass can be recycled for window pane purposes and some cannot. Whenever possible we dispose of our cuttings in an appropriate, responsible manner. Our efficient ordering process is another important aspect of our eco-friendly windows and doors. 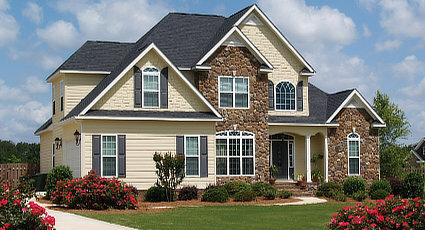 We assemble our custom windows and doors on an order-by-order basis. Quite simply, we sell what we make and we make only what is sold. This eliminates waste and reduces our carbon footprint.